Man finds food. Man changes name of TV show. 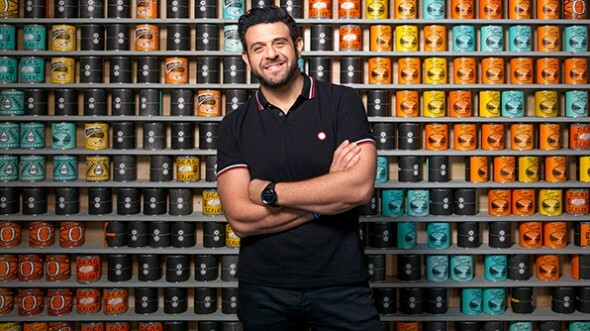 This week, the Travel Channel announced their series Man Finds Food has been renamed as Secret Eats with Adam Richman. The docu-series, which premiered in 2015, follows Richman as he searches for rare and unknown culinary specialties across the globe. Season two of Secret Eats is set to premiere this summer. What do you think? Have you seen the series formerly known as Man Finds Food? Will you watch season two? Do you like the new title? More about: Man Finds Food, Man Finds Food: canceled or renewed?, Secret Eats with Adam Richman, Secret Eats with Adam Richman: canceled or renewed?, Travel Channel TV shows: canceled or renewed?